Share the post "The Cost of Uterine Fibroid Embolization"
When comparing hysterectomy, myomectomy and Uterine Fibroid Embolization, UFE costs were significantly less as an alternative treatment for fibroids. Health care costs continue to be a concern for many women across the United States and it is a hot topic of discussion in our homes and on Capitol Hill. Let’s face it. If you don’t have insurance, getting the care you need can be tough, especially if a treatment is for a problem that is not life-threatening (like fibroids). Symptomatic fibroids have traditionally been treated with a hysterectomy or myomectomy, both invasive, surgical procedures with long recovery times. A normal hysterectomy or myomectomy, with no complications, can cost up to $42,619 according to a recent article published in the American Journal of Gynecologists (AJOG). 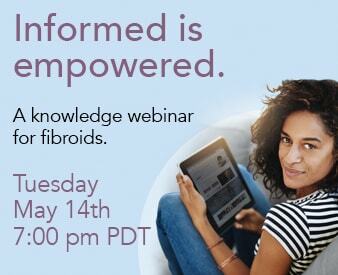 It is a huge cost that 40% of women in the US must face when being diagnosed with fibroids and a cost that can have a serious affect on US health care costs and insurance rates. Uterine Fibroid Embolization (UFE) is a cost effective alternative to hysterectomy and myomectomy. When comparing hysterectomy, myomectomy and UFE, the AJOG article found that UFE cost 12% less than a hysterectomy and 8% less than a myomectomy. Both direct medical costs and hidden costs such as time off work were taken into consideration. Recovery time for UFE is only 5 days compared to 6 weeks for a hysterectomy. That means getting back to work and your family much faster! When seeking treatments for fibroids, women should certainly focus on finding the right treatment from a trusted, qualified health care professional. But having the option to seek out a successful, durable treatment alternative like UFE without breaking the bank is making women, doctors, politicians and even Hollywood take notice. Oh, and you still get to keep your uterus too.